Published: Oct. 1, 2017 at 09:49 p.m.
Indianapolis Colts running back Robert Turbin pushes through his way through defenders for a 1-yard touchdown. 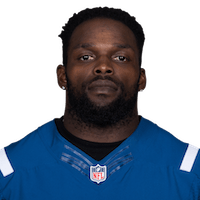 Published: Jan. 1, 2017 at 02:56 p.m.
Indianapolis Colts running back Robert Turbin rushes for a 7-yard TD. Published: Dec. 24, 2016 at 06:11 p.m.
Indianapolis Colts QB Andrew Luck finds running back Robert Turbin for the 3-yard TD. Published: Dec. 18, 2016 at 02:22 p.m.
Indianapolis Colts running back Robert Turbin spins his way in for a 6-yard TD.